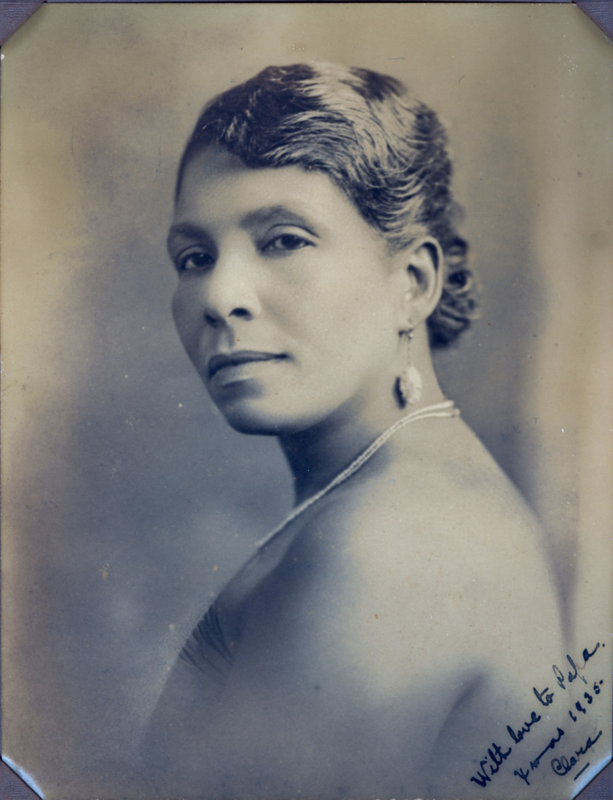 Clara Marguerite Gordon (née Christian) was a Dominican-born woman. She is widely recognised as the first black woman student enrolled at the University of Edinburgh, in 1915. Despite never graduating, Clara’s life reflects one of determination, sacrifice and trailblazing: She paved the way for many other talented black women to succeed after her. Her story is one that still resonates today and allows us to examine the intersections of race and gender in a colonial context. Born Clara Christian in 1894/1895, she was raised in the former French and British colony of Dominica. Her mother, Virginia Boland, raised Clara in Dominica whilst her father George James Christian, a renowned barrister who trained in London, moved to the Gold Coast in 1902. Clara lived in Dominica up until the age of eleven when her mother passed away. She was swiftly sent to a convent school in Edinburgh and then went on to attend Hampton Institute and Oberlin College in the United States, training as a singer (Rouse-Jones & Appiah, 2016). Though Clara was a talented performer, her father wished for her to return to Edinburgh to enrol in a medical degree. In 1915, she arrived in Edinburgh and began her degree in Medicine. During her time here, she met Trinidadian-born Edgar F. Gordon, a fellow medical student, and fell pregnant with their first child during her studies. She subsequently dropped out of university, much to her father’s discontent, and waited for Edgar to complete his degree. 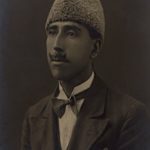 He briefly took up a post in Inverness before the couple decided to move back to the Caribbean in 1921 to raise their children (Bermuda Biographies). From 1917 to 1927 they had six children and emigrated back to the Caribbean, settling in Bermuda where Edgar became a doctor (Rouse-Jones & Appiah, 2016). Clara and Edgar’s marriage was one that seemingly started lovingly. 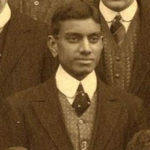 George James Christian had always emphasised the importance of education and was strongly against Clara dropping her studies for domestic life. He is recorded saying Edgar would not have been drawn to marrying Clara had she not contributed the money meant for her studies towards their domestic life (Rouse-Jones & Appiah, 2016). Contrastingly, in her 2004 episode of the BBC Programme Who Do You Think You Are, the broadcaster Moira Stuart, Clara’s granddaughter, stated ‘But she never completed her studies – he graduated, but she didn’t. They call it love!’ However, as their time in Bermuda continued their marriage deteriorated resulting in divorce because of ‘irreconcilable matrimonial problems.’ (Stuart, 2004). Clara’s father, amongst many close family networks, aided Clara financially after the divorce in order to keep her children in education. Her four daughters were sent to England for school and her two sons attended the University of Edinburgh in 1944 to study medicine (Rouse-Jones & Appiah, 2016). Although the death of their grandfather, George James Christian, forced them both to curtail their studies, both men became well respected jazz musicians in London (Crosby, 2013). Other than their personal difficulties, Clara and Edgar were also impacted by racism in Bermuda. The British Empire was built on racism, an ideology that was instrumental in Britain as well as the colonies. Racism trickled into all aspects of living for black people in the early twentieth century. Despite being educated, Clara and Edgar experienced institutional barriers within the employment sector, frequently overlooked for roles in Bermuda that were handed to white colonials. Although she had not finished her degree at Edinburgh, Clara was capable, intelligent and hard-working. After successfully applying to a position at Achimota College she was forced to turn it down because the terms of the role reflected the structural limitations of black women in employment: it required her to relocate to the Gold Coast indefinitely with minimal promise of promotion to a more senior role (Rouse-Jones & Appiah, 2016). As a single parent she was unable to accept the position because of its insecurity and instability. Edgar F. Gordon also experienced barriers with structural racism when practising medicine and became an advocate for social justice for black Bermudians (Rouse-Jones & Appiah, 2016). His growing frustration with the continuous racism reached its peak and so decided to change his name to ‘Mazumbo’ as a reaction to white colonials refusing to say his name with the prefix ‘Mr’ or ‘Dr’. Gordon announced the name change in a newspaper, causing uproar amongst the white members of the House of Assembly in the local Parliament (Bermuda Biographies). Clara’s enrolment at the University of Edinburgh marked the increasing visibility of the West Indian community, who had a long history in Scotland. Clara, like many other international students, was attracted to the Medicine department at Edinburgh, which was renowned as world-class in the early twentieth century. However, non-white students faced difficulties when navigating Edinburgh, facing similar challenges to those Clara and Edgar faced in the Caribbean. As a reaction to the Othering experienced by white Edinburgh students and in an attempt to solidify communities of African-Caribbean people, a number of associations were created by students of African descent. Trinidadian William .W. Besson is recorded saying how in 1923, he set up the West-Indian Association that had an initial membership of roughly twenty-five people (Besson & Besson, 2001). There was an undeniable demand for these communal spaces amidst Edinburgh’s less than accommodating climate for black people. Yet, Clara’s history speaks volumes to the difficulty of the ‘Double Jeopardy’ of both navigating both race and gender within whiteness (Beale, 2016). Clara’s university experience embodies the simultaneous invisibility and hyper-visibility of being the first black woman enrolled at Edinburgh; at odds with the possibility of falling by the wayside, whilst navigating a predominantly white institution during the colonial period. The conflict between these two hyper-visible and invisible traits applied not just to her university experience but the mechanisms of racism in the wider context of British Empire. Clara sacrificed her education for her husband and her children, yet these sacrifices are rarely acknowledged beyond her personal hardships. Clara Marguerite Christian, the first black woman enrolled in Edinburgh was a devoted wife, a loving mother, an unapologetic Caribbean woman, and a trailblazer in her own right. She died in Bermuda in 1964. Bermuda Biographies, n.d. Biography Dr Edgar Fitzgerald Gordon, Bermuda Biograophies, accessed 13/09/18, [http://www.bermudabiographies.bm/Biographies/Biography-DrGordon.html]. Besson, W.W and Besson, J. 2001, Caribbean Reflections: The Life and Times of a Trinidad Scholar (1901-1986), Karia Press, London. Crosby, G. 2013, RIP Ken Gordon (1927-2013), Gary Crosby, accessed 14/09/18, [https://garycrosbybass.com/2013/11/09/rip-ken-gordon-1927-2013/].